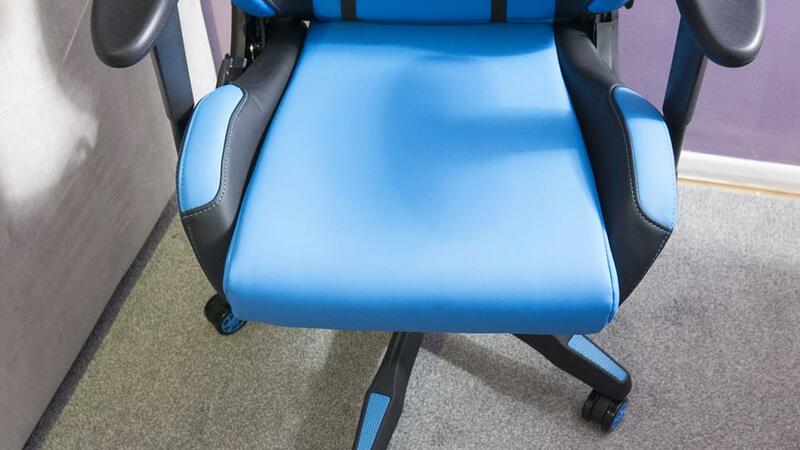 If you’re in the market for a new Gaming Chair, then today’s review is just for you! Our friends over at Ewin have sent us in another one of their great chairs for today’s review. 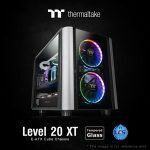 When looking for a new chair for gaming, what’s really important? 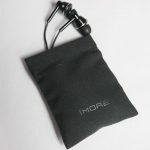 Personally, we feel it is a mixture of the following, price, comfort and durability. 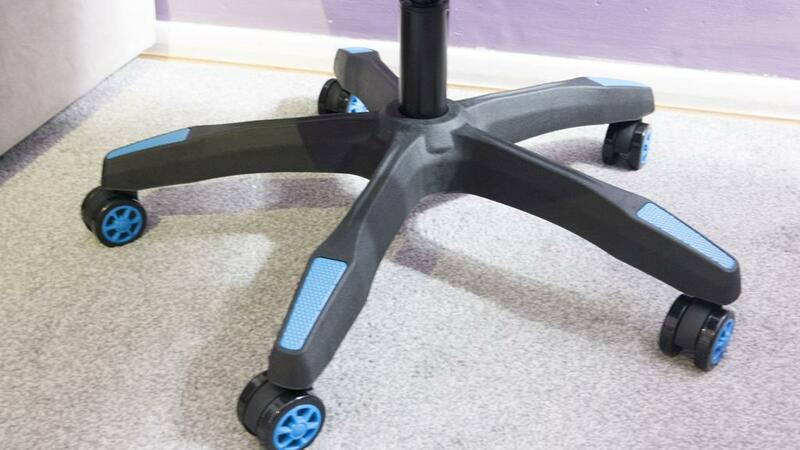 Far too many times we are seeing people buying gaming chairs for ‘deal’ prices on eBay and Amazon, only to be let down and without a chair in a couple of months. As with any product, you get what you pay for and when it comes to chairs, it is usually best to avoid cheaper no-name brands. 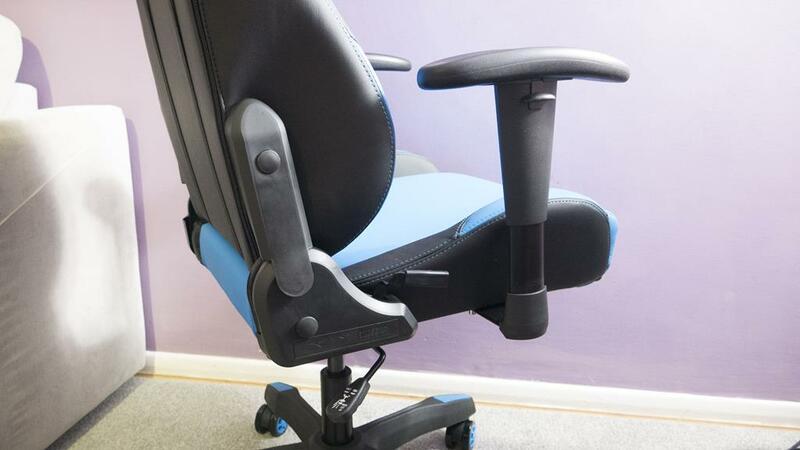 In order for chairs to be much cheaper than others, they have to use cheaper components to build the chair and usually, you’ll end up with a broken chair somehow after a few months. 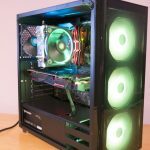 Ewin has been around for a good couple of years now and we were actually one of the first review sites to get one of their chairs in for review. Since then, we have seen a number of their chairs and have been happy with them all. 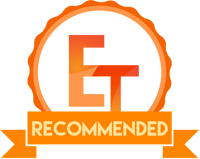 We also know quite a few people who have purchased Ewin chairs based on our reviews and are still happy with them. 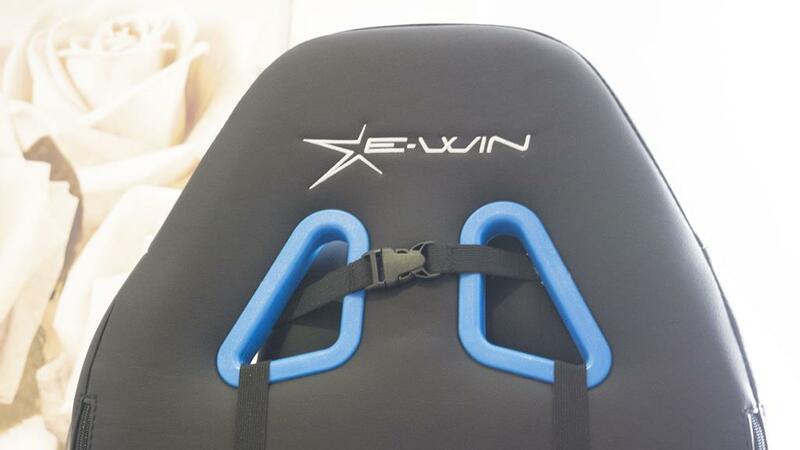 When Ewin first hit the scene, they were an unknown gaming chair manufacturer. They have now grown substantially and have earned themselves a good reputation which is well deserved. Today, we will be taking a closer look at their Calling Series of chairs. 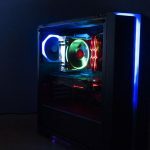 As with most of Ewin’s chairs, the Calling Series comes in a number of different colours including, white, blue and red. As you can imagine, we opted for the blue variant of the calling series! 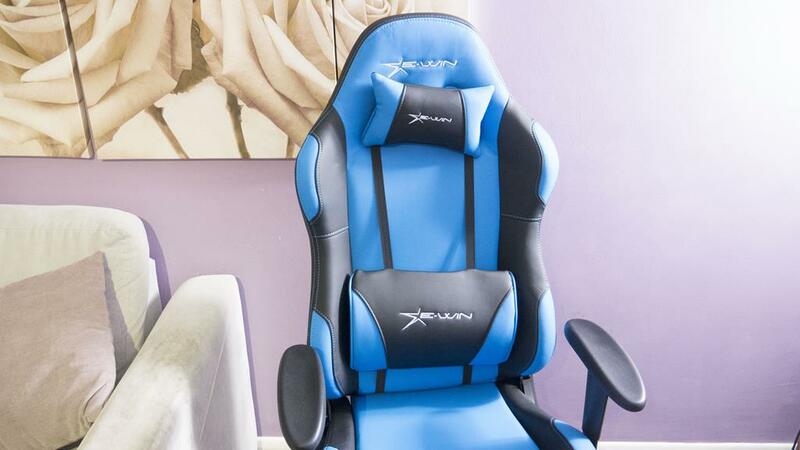 This chair is definitely eye-catching and fits right in with our blue everything theme! 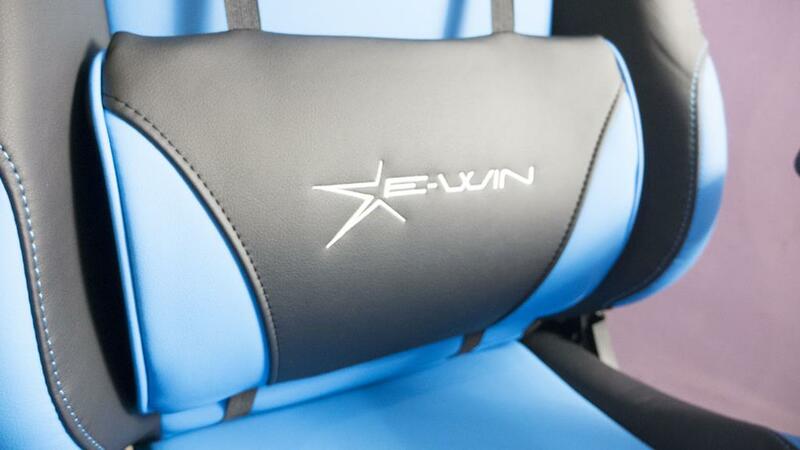 Ewin has done a great job of adding the black accents to a mostly blue chair. The Calling Series is designed for people up to 330lbs in weight and has plenty of customization options so you can make it as comfortable as possible for your own needs. One of the main features is being able to raise the whole chair up or down to find your desired height of the chair itself. 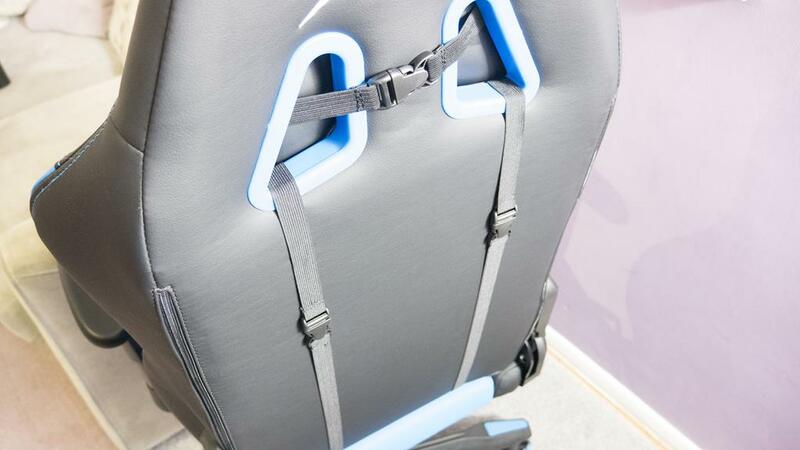 While it does come with included neck and lumbar pillows, the chair is still designed to almost wrap around the sides of you and hold you into place. The added pillows are easily removed if you’re not a fan though, so don’t worry. The seat part also has sides that curve up a bit so if you are a bit bigger, you may want to try it out and make sure they don’t dig into you. I mention this as it is a fairly standard complaint for some people when it comes to sitting in gaming chairs and at the end of the day, it’s all about being comfortable. At a LAN and need a little nap? 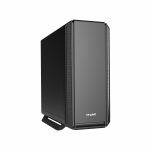 No problemo, the Ewin Calling Series reclines back 155° to ensure you can catch a couple quick ZZZ’s if needed! This will also allow you to recline the back to your desired position when sitting in it, again for maximum comfort. To recline the back of the chair, simply use the lever found to the right of the base of the seat. Just pull it up and this will let you move the back of the chair forward or backwards so you can find the best position for yourself. 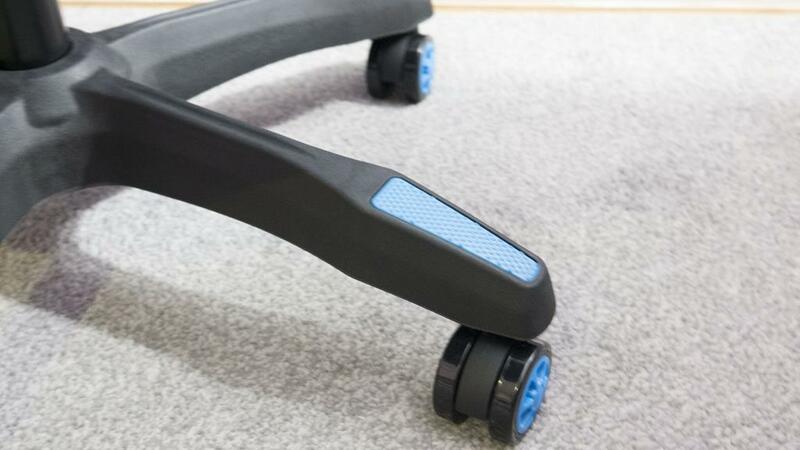 Also, users will be happy to notice that they can change the height of the armrests by simply pulling the little button up on the outside of each armrest then moving it up or down. Being able to so easily customize some of the features of the chair to each individual user is a big plus side. The pillows that come with the chair designed to offer more support in areas that need it. However, these pillows are not for everyone and as such, can be easily removed. When it comes to these pillows, I do recommend giving them a try, even if they feel a bit uncomfortable at first, move them around a bit and find a comfortable position for yourself and see if they help out at all. 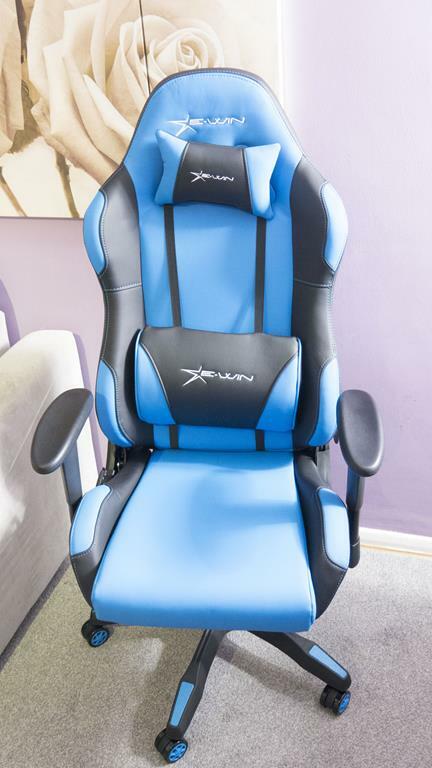 When I first started using gaming chairs, it took me a couple weeks to get used to them but I love them now, they’ve helped my posture which has resulted in less lower back fatigue on a daily basis. As mentioned, the pillows can easily be removed if they really just are not for you. simply unclick them and take them off, job done! The 5-star based has colour coded anti-slip pads on the top for those who like to rest their feet on the base. You will also notice the casters have a bit of blue in them as well to help and bring it all together. 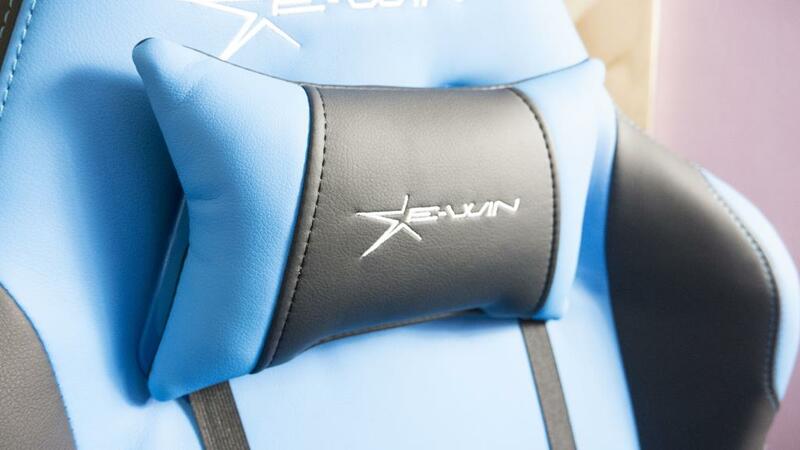 As far as gaming chairs go, Ewin knows what they are doing. They have a variety of chairs with different styles, features and price to try their best and having something for everyone. 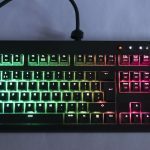 The Calling Series chair which we looked at today follows right along in previous Ewin Gaming Chairs footsteps and offers a comfortable gaming session, even after prolonged periods of time. The customizability the chair has to offer is just enough to make sure each individual user will be able to find a comfortable position in the chair. 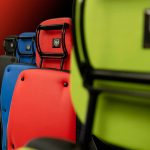 Accommodating users up to 330LBS in size, the Calling Series can offer comfort to a number of users. 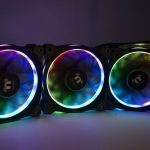 Ewin has not cheaped out when it comes to the quality of components used. They have still gone with a durable steel frame, cold moulding foam and a class 4 gas lift to make sure this chair not only offers you great comfort but has some longevity as well. 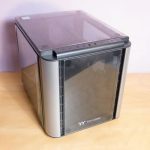 As mentioned there is nothing worse than getting a cheap chair to have it break down on you within a couple months, a problem you won’t have to worry about with your new Ewin chair. 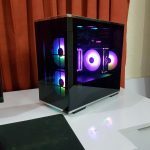 Comfort, quality and style are all things that come to mind when you mention the Ewin name and we look forward to seeing what they come out with in the future to keep the legacy going. 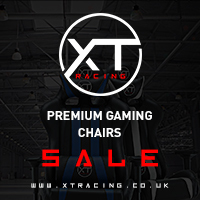 When all is said and done, the Calling Series chair ticks all the boxes that a gaming chair should at a price that isn’t astronomical. While some may find the price a bit much for their liking, it is well worth it and will easily pay for itself over its lifetime. 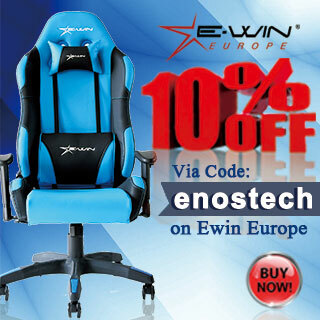 If you’re in the market for a new chair, give Ewin and look and make sure to use code ‘EnosTech’ for 10% off your next purchase! 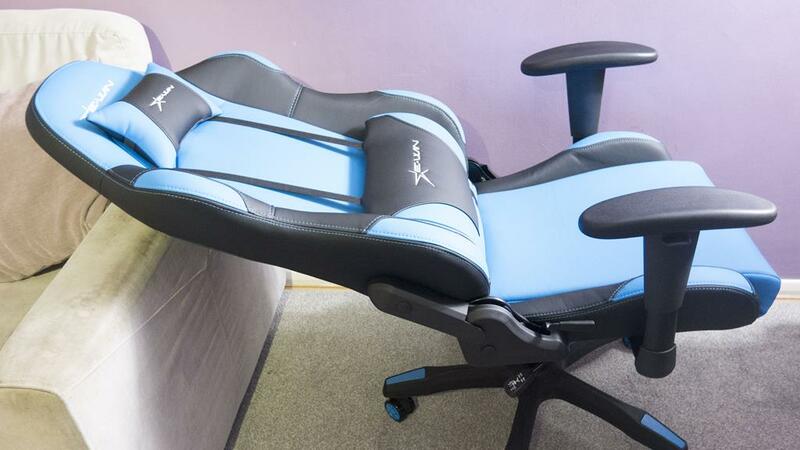 Many thanks to Ewin for sending in a sample of their Calling Series Gaming Chair.